1. Pencheva N, Tran H, Buss C G, et al. 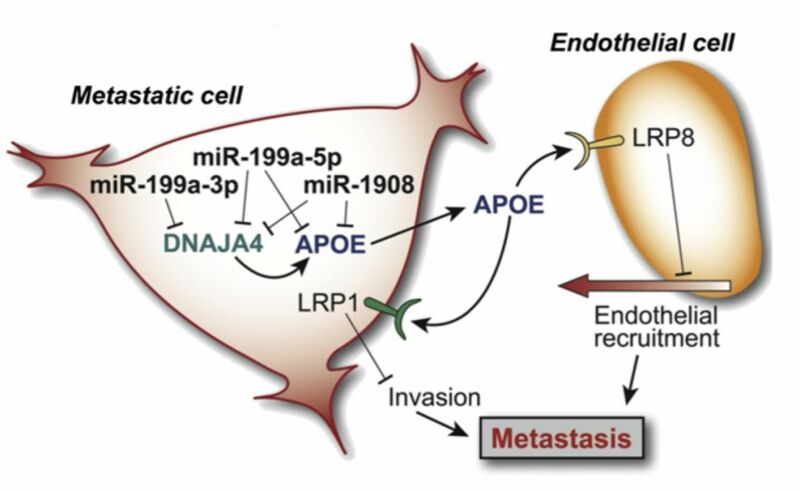 Convergent Multi-miRNA Targeting of ApoE Drives LRP1/LRP8-Dependent Melanoma Metastasis and Angiogenesis[J]. Cell, 2012, 151(5): 1068-1082. 2. Eichner J E, Dunn S T, Perveen G, et al. Apolipoprotein E polymorphism and cardiovascular disease: a HuGE review[J]. American journal of epidemiology, 2002, 155(6): 487-495. 3. Liu C C, Kanekiyo T, Xu H, et al. Apolipoprotein E and Alzheimer disease: risk, mechanisms and therapy[J]. Nature Reviews Neurology, 2013, 9(2): 106. 4. Apfel R, Benbrook D M, Lernhardt E, et al. A novel orphan receptor specific for a subset of thyroid hormone-responsive elements and its interaction with the retinoid/thyroid hormone receptor subfamily.[J]. Molecular and Cellular Biology, 1994, 14(10): 7025-7035. 5. Song C, Kokontis J M, Hiipakka R A, et al. Ubiquitous receptor: a receptor that modulates gene activation by retinoic acid and thyroid hormone receptors.[J]. Proceedings of the National Academy of Sciences of the United States of America, 1994, 91(23): 10809-10813. 6. Willy P J, Umesono K, Ong E S, et al. LXR, a nuclear receptor that defines a distinct retinoid response pathway.[J]. Genes & Development, 1995, 9(9): 1033-1045. 7. Laffitte B A, Repa J J, Joseph S B, et al. LXRs control lipid-inducible expression of the apolipoprotein E gene in macrophages and adipocytes[J]. Proceedings of the National Academy of Sciences of the United States of America, 2001, 98(2): 507-512. 8. Joseph S B, Mckilligin E, Pei L, et al. Synthetic LXR ligand inhibits the development of atherosclerosis in mice[J]. Proceedings of the National Academy of Sciences of the United States of America, 2002, 99(11): 7604-7609. 9. Gabrilovich D I, Bronte V, Chen S, et al. The Terminology Issue for Myeloid-Derived Suppressor Cells[J]. Cancer Research, 2007, 67(1): 425-425. 11. Tavazoie M F, Pollack I, Tanqueco R, et al. 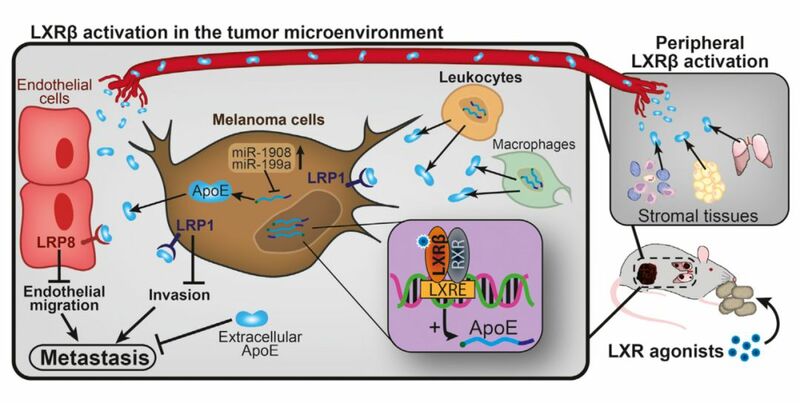 LXR/ApoE Activation Restricts Innate Immune Suppression in Cancer[J]. Cell, 2018. 13. Veglia F, Perego M, Gabrilovich D. Myeloid-derived suppressor cells coming of age[J]. Nature immunology, 2018: 1. 14. Zea AH, Rodriguez PC, Atkins MB, et al. Arginase-producing myeloid suppressor cells in renal cell carcinoma patients: a mechanism of tumor evasion. Cancer Res 2005; 65: 3044–8. 15. Nefedova Y, Nagaraj S, Rosenbauer A, Muro-Cacho C, Sebti SM, Gabrilovich DI. Regulation of dendritic cell differentiation and antitumor immune response in cancer by pharmacologic-selective inhibition of the janus-activated kinase 2/signal transducers and activators of transcription 3 pathway. Cancer Res 2005; 65: 9525–35. 16. 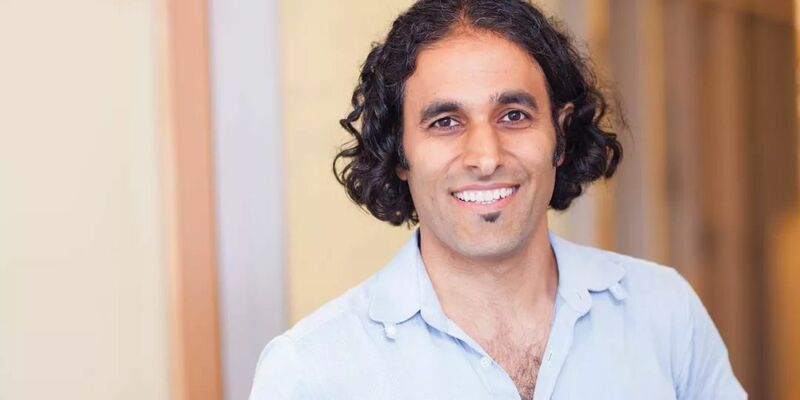 Sinha P, Clements VK, Ostrand-Rosenberg S. Interleukin-13-regulated M2 macrophages in combination with myeloid suppressor cells block immune surveillance against metastasis. Cancer Res 2005; 65: 11743–51. 17. Yang R, Cai Z, Zhang Y, Yutzy WHt, Roby KF, Roden RB. CD80 in immune suppression by mouse ovarian carcinoma-associated Gr-1+CD11b+ myeloid cells. Cancer Res 2006; 66: 6807–15. 18. Huang B, Pan PY, Li Q, et al. Gr-1+CD115+ immature myeloid suppressor cells mediate the development of tumor-induced T regulatory cells and T-cell anergy in tumor-bearing host. Cancer Res 2006; 66: 1123–31. 19. Mirza N, Fishman M, Fricke I, et al. All-trans-retinoic acid improves differentiation of myeloid cells and immune response in cancer patients. Cancer Res 2006; 66: 9299–307. 20. Gabrilovich D I, Bronte V, Chen S, et al. The Terminology Issue for Myeloid-Derived Suppressor Cells[J]. Cancer Research, 2007, 67(1): 425-425. 21. Ribechini E, Hutchinson J A, Hergovits S, et al. Novel GM-CSF signals via IFN-γR/IRF-1 and AKT/mTOR license monocytes for suppressor function[J]. Blood advances, 2017, 1(14): 947-960. 22. Condamine T, Kumar V, Ramachandran I R, et al. ER stress regulates myeloid-derived suppressor cell fate through TRAIL-R–mediated apoptosis[J]. The Journal of clinical investigation, 2014, 124(6): 2626-2639. 23. Noy R, Pollard J W. Tumor-associated macrophages: from mechanisms to therapy[J]. Immunity, 2014, 41(1): 49-61. 24. Liu Y, Cao X. The origin and function of tumor-associated macrophages[J]. Cellular & molecular immunology, 2015, 12(1): 1. 25. 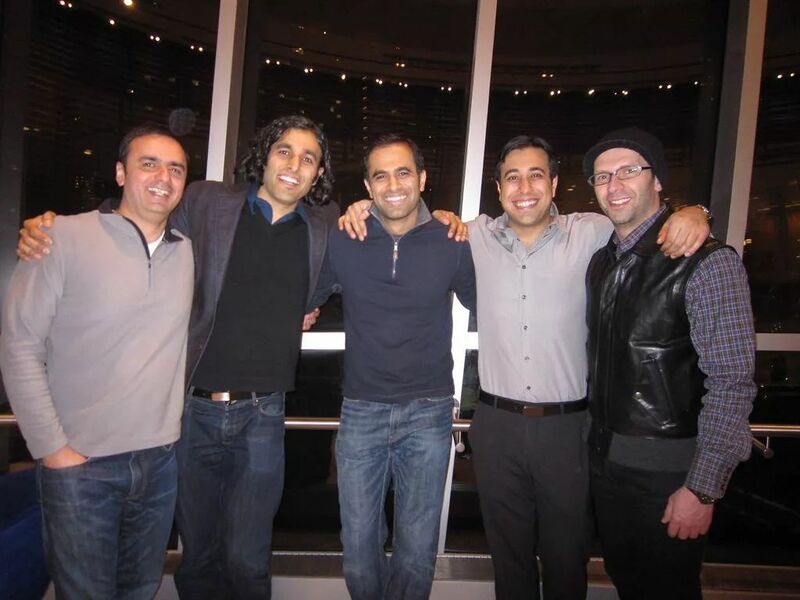 Ma Y, Adjemian S, Mattarollo S R, et al. Anticancer chemotherapy-induced intratumoral recruitment and differentiation of antigen-presenting cells[J]. Immunity, 2013, 38(4): 729-741. 26. Marigo I, Zilio S, Desantis G, et al. T cell cancer therapy requires CD40-CD40L activation of tumor necrosis factor and inducible nitric-oxide-synthase-producing dendritic cells[J]. Cancer Cell, 2016, 30(3): 377-390. 27. Tesone A J, Rutkowski M R, Brencicova E, et al. Satb1 overexpression drives tumor-promoting activities in cancer-associated dendritic cells[J]. Cell reports, 2016, 14(7): 1774-1786. 28. Sun H, Zhou X, Xue Y, et al. Increased frequency and clinical significance of myeloid- derived suppressor cells in human colorectal carcinoma[J]. World Journal of Gastroenterology, 2012, 18(25): 3303-3309. 29. Arihara F, Mizukoshi E, Kitahara M, et al. Increase in CD14+ HLA-DR−/low myeloid-derived suppressor cells in hepatocellular carcinoma patients and its impact on prognosis[J]. Cancer Immunology, Immunotherapy, 2013, 62(8): 1421-1430. 30. Diaz-Montero C M, Salem M L, Nishimura M I, et al. Increased circulating myeloid-derived suppressor cells correlate with clinical cancer stage, metastatic tumor burden, and doxorubicin–cyclophosphamide chemotherapy[J]. Cancer immunology, immunotherapy, 2009, 58(1): 49-59. 31. Yang G, Shen W, Zhang Y, et al. Accumulation of myeloid-derived suppressor cells (MDSCs) induced by low levels of IL-6 correlates with poor prognosis in bladder cancer[J]. Oncotarget, 2017, 8(24): 38378. 32. Angell T E, Lechner M G, Smith A M, et al. 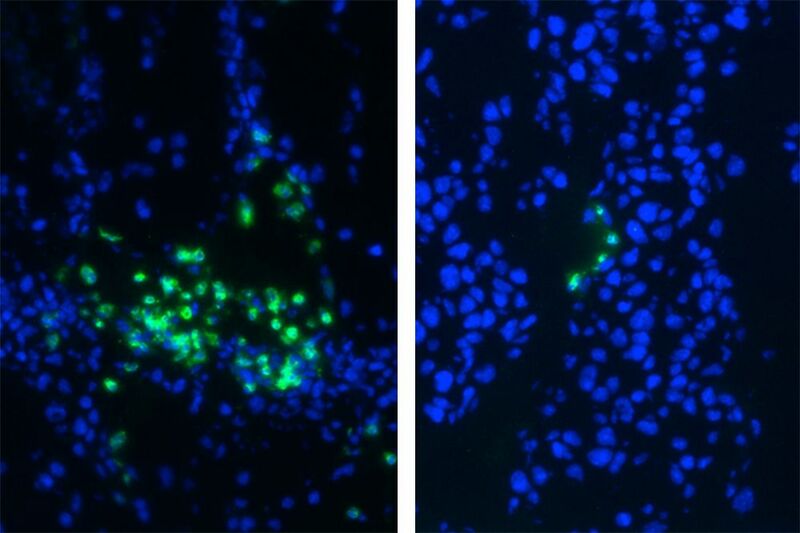 Circulating myeloid-derived suppressor cells predict differentiated thyroid cancer diagnosis and extent[J]. Thyroid, 2016, 26(3): 381-389. 33. Huang A, Zhang B, Wang B, et al. Increased CD14+ HLA-DR-/low myeloid-derived suppressor cells correlate with extrathoracic metastasis and poor response to chemotherapy in non-small cell lung cancer patients[J]. Cancer Immunology, Immunotherapy, 2013, 62(9): 1439-1451.